The Punjab and Haryana HC has been hearing a vital PIL regarding drug trafficking in the state but has so far taken on record 8 sealed covers. 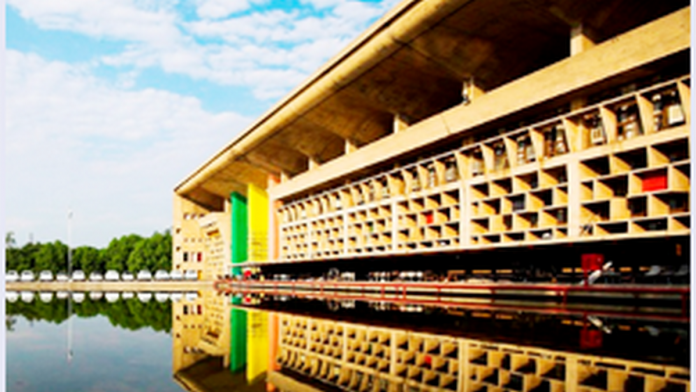 Chandigarh: The fate of one of the most important public interest litigations (PIL) in the Punjab and Haryana High Court has been sealed — in covers that is. The PIL relates to drug trafficking cases in Punjab that the high court has been hearing since 2013. The court, however, has so far taken on judicial record at least eight sealed reports, which have a vital bearing on the drug problem in the state, but has not even opened one over the past year. The court has also passed no substantive order in the case. Instead, the reports — some of which name some prominent people in the state — have been ordered to be kept in sealed covers with the registrar judicial of high court. Punjab’s problem with drug addiction and the rampant availability of drugs have been well documented. They had become the bane of the SAD-BJP government in the state, which was in power between 2012 and 2017. It was also one of the most important issues during the 2017 assembly polls when the Congress, during its campaign led by Captain Amarinder Singh, vowed to end the problem within four weeks of coming to power. The case began with a letter that former DGP (prisons) Punjab, Shashikant, wrote to the high court in September 2013. Taking suo motu cognisance of the letter, a division bench headed by then chief justice Sanjay Kishan Kaul (now a Supreme Court judge) treated it as a PIL. The court had initially impleaded the Punjab government and the Central government in the case but given the complicity of the problem, the court also issued notices to the Narcotics Control Bureau, the union finance ministry and the Enforcement Directorate (ED). In 2015, the Supreme Court directed the Punjab and Haryana High Court to constitute a special division bench to hear all drug-related matters. One of the earliest and most significant reports was submitted to the court in May 2015 when an assistant director of the ED, Niranjan Singh, submitted a confidential note with allegations that the Akali minister Bikram Singh Majithia was allegedly involved with those arrested in the drug cases. Majithia’s name had cropped up during ED questioning of a set of accused in a case registered in 2013. The main accused in the case was the former national level wrestler and Punjab cop-turned-drug lord Jagdish Bhola. After Bhola and other prominent accused allegedly named Majithia, the ED summoned the minister for questioning in December 2014. Less than four weeks later, the ED officer Niranjan Singh was transferred out of Punjab to Kolkata. The transfer was stayed on an application moved by advocate Navkiran Singh for Lawyers for Human Rights International. Niranjan Singh’s note along with annexures containing statements of the various accused about Majithia’s alleged role was handed over and discussed with the division bench, in an in-chamber hearing involving the ED officer’s senior advocate Anupam Gupta. This note is yet to come out in the public domain. In November 2017, the high court also ordered that Niranjan Singh’s note (on Majithia) be shared with the special task force (STF) on drug control, constituted by the Congress government that had taken over in the state. The STF was then headed by ADGP Harpreet Singh Sidhu, who submitted a detailed report in a sealed cover, on Niranjan Singh’s note, in February last year. A copy of this report was ordered to be given to Niranjan Singh for his comments and another to the Punjab government for consideration. A month later, on 17 March 2018, Cabinet Minister Navjot Singh Sidhu held a press conference and claimed to have accessed the STF’s report while “leaking” its contents. Minister Sidhu claimed that according to the STF, the ED’s findings against Majithia were substantial and demanded that Majithia be arrested. Niranjan Singh’s comments on the STF’s report were submitted to the court in mid-March last year and were ordered to be kept in a sealed cover. The Punjab government’s comments on the STF’s report were submitted to the court in May 2018 and these too, continue to be in a sealed cover. In November 2017, the division bench had also asked Harpreet Sidhu’s STF to submit a report on allegations of alleged collusion between law enforcement agencies and drug traffickers in the state. Before the STF could begin work in earnest, then Moga SSP Rajjit Singh — who was the subject of the STF’s inquiry — moved the court alleging that the STF chief Harpreet Sidhu was biased against him and wanted the inquiry to be conducted by another officer. Consequently, in December 2017, the court modifying its earlier order constituted a three-member special investigative team (SIT) under DGP (HRD) Siddhartha Chattopadhyaya for the purpose. The SIT’s first report was submitted to the court in February last year, the second in mid-March and the final report in May. These reports are believed to contain vital information about the alleged involvement of senior police officers in the drug trade. These reports were submitted in sealed covers and remain as such. In April last year, Chattopadhyaya, the SIT chief, moved an application in the court alleging that during the course of his investigations, the role of then Punjab DGP Suresh Arora and then DGP (intelligence) Dinkar Gupta (who is now Punjab DGP) had come to light. Along with his application, he annexed six documents backing his claim, which remain in a sealed cover. Along with SIT’s third and final report, Chattopadhyaya as the chief submitted a fourth report, which was not signed by other members of the SIT. This report is believed to have details of Arora’s and Gupta’s connection to the case. This too remains in a sealed cover till date. During the last substantive hearing in the case, on 23 May 2018, a division bench of Justice Suryakant and Justice Shekhar Dhavan while taking on record the reports ordered that “the registrar judicial will produce these reports in entire record before the bench for their in-depth consideration”. After Justice Suryakant was elevated and transferred as the chief justice of the Himachal Pradesh High Court, the special bench for drug cases was reconstituted under Chief Justice Krishna Murari in August last year. This case has been heard eight times by the bench headed by the chief justice since but no substantive order has yet been passed nor have any of the sealed reports been opened. The case comes up for hearing on 27 March.